When I was in the Philippines, I am up-to-date with the church calendar especially lent season. 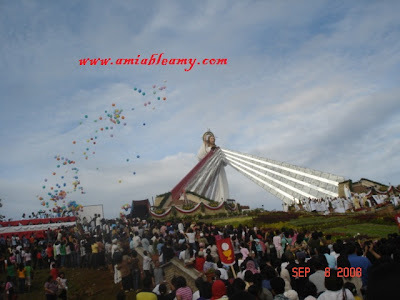 My mother and I were at the church most of the time participating most of the religious activities. Losing track of time was impossible. It's totally different here in the US. Everywhere is just like ordinary days. In fact, the beach is jam pack with family having a good time with the spring break. No holy week or lent observance whatsoever. Mainly because majority are not Catholics. Ash Wednesday is not given a huge importance, fasting and abstinence is not on their vocabulary, station of the Cross, Crucifixion etc. But, there is EASTER! Easter is celebrated NOT because of Jesus Christ RESURRECTION! Parents look forward for Easter activity because they are excited for EASTER egg-hunting for the kids. The giving of Easter Egg baskets and kids are looking forward for Easter bunny and Easter egg chocolates. But, what is the true meaning of Easter celebration? 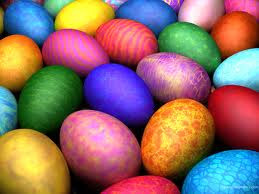 For 2011, Easter is celebrated on April 24th. In theology, Easter is celebrated because of Jesus Christ Resurrection and it signify the foundation of Christian Faith. Even though others celebrate Easter in a different way, let us all respect each other's way of celebrating. Enjoy with your family and have fun in celebrating this year's Easter Sunday! That's really true Ams. Because of different beliefs, some people aside from not being a Catholic, they don't observe events like this. Different from what we had back home.